The star of popular fiction in India, Nikita Singh, is a Delhi-based Indian writer, and the author of 8 books at the age of 23. Her first book, Love @ Facebook (2011), came out when she was only 19 and studying pharmacy. She is also the recipient of a Live India Young Achievers Award, 2013. 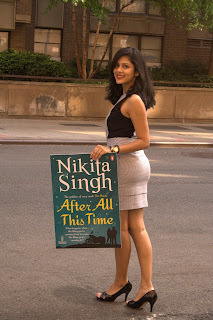 Nikita Singh has sold thousands of copies of her books named Accidentally In Love..With Him? (2011), If It's Not Forever… It's Not Love (2012), The Promise (2012), Someone Like You (2013), The Unreasonable Fellows (2013), and Right Here Right Now (2014). If It’s Not Forever...It’s Not Love is a book she co-authored along with another eminent writer of the day, Durjoy Dutta. Her books are mostly about young adult romance fiction that cater to young adults and older audience. Que: Congratulations on your new book, After All This Time. It is about an HIV+ girl and her adventures after she discovers the truth about her HIV status. So, does the book intend to educate about HIV & AIDS? Nikita Singh: I wouldn’t call Lavanya’s life post HIV an adventure! HIV in After All This Time represents the idea of living with one's biggest fear. Lavanya has spent her life running away from her problems, but this is one thing she no option but face and live with. Also, one has to be very responsible when writing about HIV, since it is such a sensitive matter, especially in our country. So I had to be very careful while doing it. Que: Is this book inspired from imagination or a true story? Nikita Singh:I don’t think anything anyone writes is pure imagination. We all draw from our experiences—first and second hand—from what we see around ourselves. Having said that, this book isn’t inspired from any one person’s life. It’s an accumulation of several things I have seen, heard and imagined. Mostly imagined. Que: All your books in the past have been about Love. Was that a conscious decision? Nikita Singh: Apart from romance, I have written two young adult novels and a non-fiction book. But I have to admit—writing about love is what appeals to me the most. It is such a powerful, all-consuming emotion, I enjoy exploring the various facets of it. Que: We all know that love is not what's portrayed in romance movies and novels. And since we live in times when realism is finding its own audience, do you think that creating a fantasy about love and love stories is in accordance with the current trends? Nikita Singh: I write about characters that are very real. And I believe that in the present scenario, most good writers aren’t creating fantasies with their stories. People don’t want to read fairy tale romances anymore, since as you said, they do not exist in real life. I write about characters that are believable, with stories that are relatable. Que: There is a perception that in today's times writers are proliferating, and there is a dilution of talent. What do you think about that? 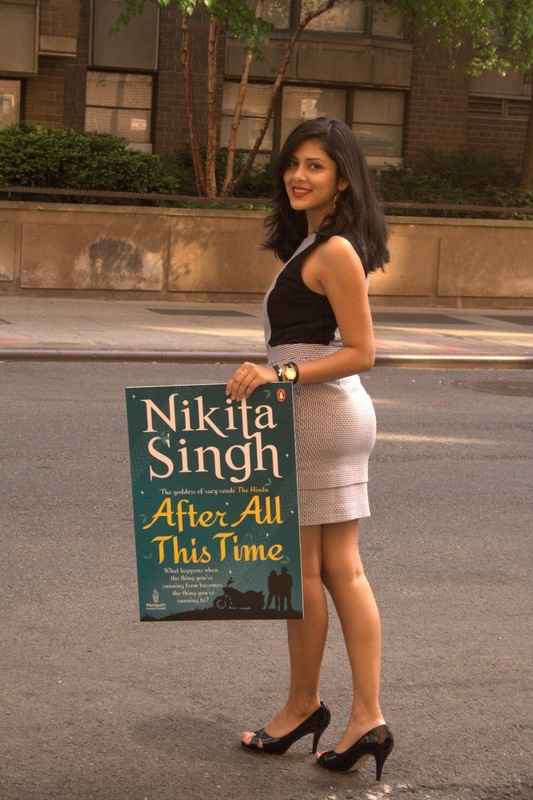 Nikita Singh: Getting a first book published in India surely is easier now than before. But I think it has its own merits. People have a platform to showcase their talent, after which point, it’s for the readers to decide what happens next—whether they like the book or not. Que: When did you decide you wanted to be a professional writer? Nikita Singh: When I wrote my fourth book, The Promise. My personal aim has always been that my next book has to be better than my last one. When I wrote The Promise, I finally had enough courage and conviction in my work to decide to pursue this single-mindedly. Que: What would advice the aspiring writers? Nikita Singh: I would say that it’s important to tell the story you want to tell, without worrying about the publishing process or current reading trends. The primary concern should be content. Once you have a good manuscript, the rest will figure itself out.